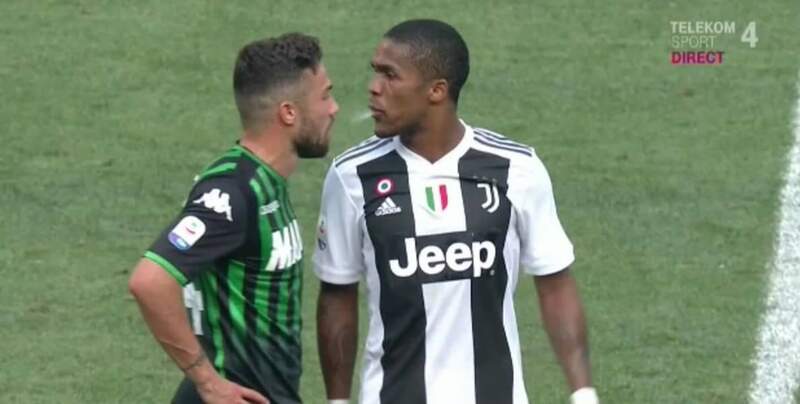 Juventus coach Maximiliano Allegri has slammed Douglas Costa for spitting on Sassuolo’s Federico Di Francesco. The Italian tactician said it was wrong for the Brazilian to overreact that way and blamed his players for falling to provocation from the opponents. The four time Scuddetto winner with Bianconneri also blamed his boys for being too extravagant and not sealing the win as expected. Cristiano Ronaldo’s brace ensured that 10-man Juventus took three points home in spite of Babacar’s stoppage consolation for the visitors. Meanwhile, Costa has written a letter of apology to Juventus fans and risks three to five match ban.